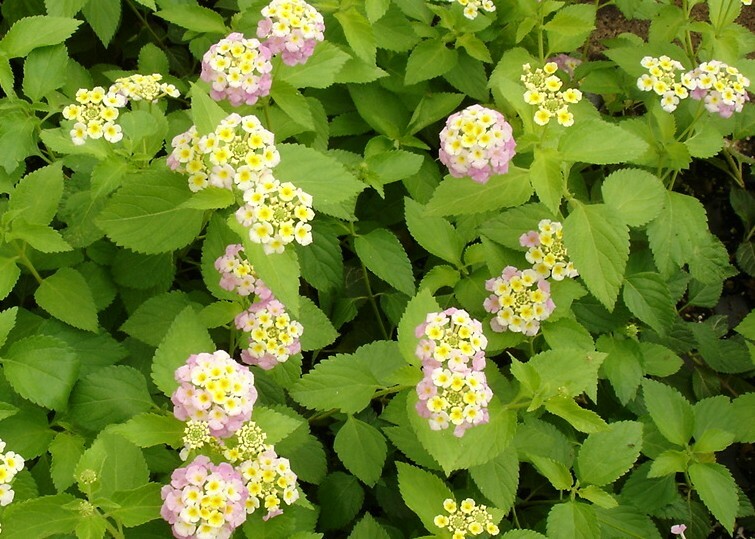 A spreading, creeping shrub up to 2 m high carrying pink flowers most of the year. The plant has got prickly stem with oval-shaped opposite leaves with a harsh surface. Very small trumpet-shaped flowers appear progressively from centre of each flower-head towards the perimeter.